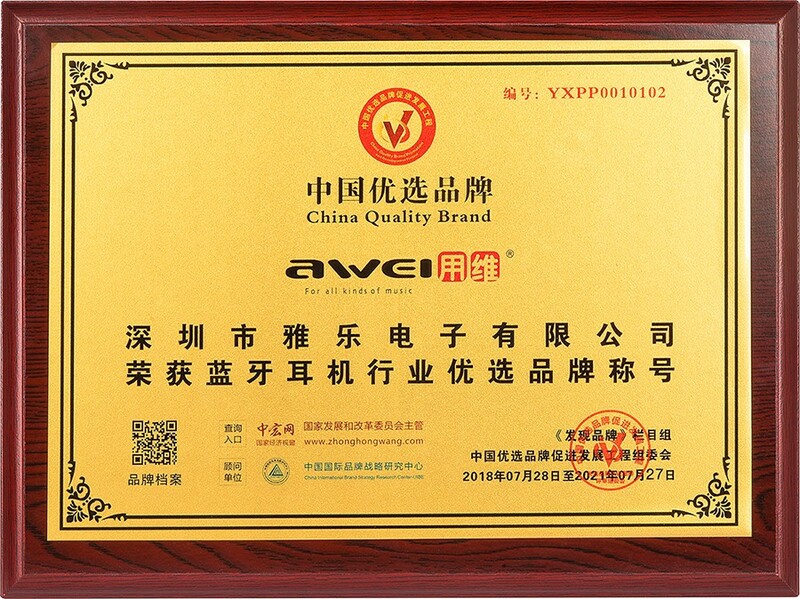 In Aug 2018, AWEI was rated as the China Quality Brand of Bluetooth earphone industry, which belongs to CCTV Discovery Brand Column. The evaluation process was supervised by the committee of China Quality Brand Promotion and Development Engineering. There are several judging centers were established in major cities across the country. Through offline screening, field filming, media publicity, voting of the whole network, off-line activities etc. AWEI was unquestionably rated as China Quality Brand of Bluetooth earphone industry with marvelous public praise and distinguished strength in the industry. AWEI is a sub-brand of Shenzhen Yale Electronics Co., Ltd, which has been always committed to the deep integration of Industry-University-Research. 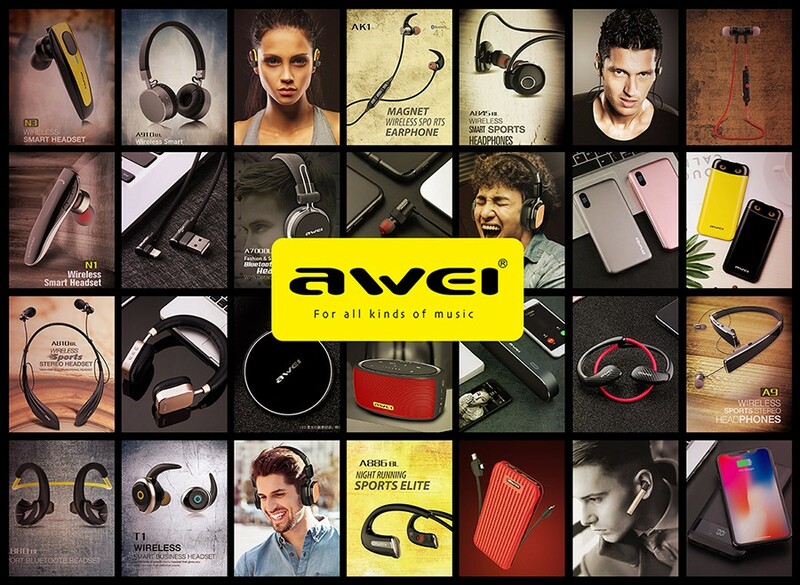 AWEI is specialized in the design, R&D, Production, sales and service of 3C digital accessories, such as Bluetooth earphone, Bluetooth speakers, Power bank, Data cable, car chargers etc, including CSR Bluetooth chip, CVC intelligent noise reduction, IPX4 waterproof and sweat-resistant function, NFC connection etc. Independently researched and developed projects includes: moving coils, new type of diaphragm material, new type of modular construction etc, providing all-round technical support for AWEI products. In the future, AWEI will integrate music, life and fashion with the development of science & technology and the pursuit to quality. After years of industrious effort and accumulation, AWEI has obtain incalculable achievements—more than 200 exclusive intellectual property patents of China; more than 100 brand flagship stores worldwide with 36 exclusive agents; more than 1,000 sales outlets in 68 countries and 108 regions; trademarks have been successfully registered in 25 countries and 45 regions around the world. At the same time, AWEI has successfully entered in a series of well-known domestic and foreign chain stores, such as Yodobashi of Japan, Himart of Korea, Wal-Mart of China, IKEA of Italy, Media Markt of Turkey, Challenger of Singapore, BANANA of Thailand, Thegioididong of Vietnam, SM of Philippines etc. 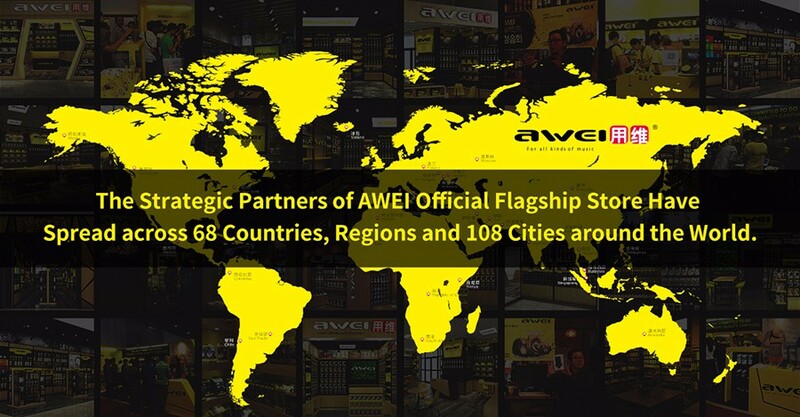 AWEI has a high market share and popularity at home and abroad, especially in Asia Pacific, Europe, North America and major domestic cities of China. Excelsior AWEI have been always stay true to the mission and strive for excellence. From strong scientific and technological strength to profound craftsmanship spirit, from perfect sales network to thoughtful service system... Each step, AWEI carries out the spirit of preciseness, and lets dealers, agents and consumers all over the world enjoy more reassuring and secure products. 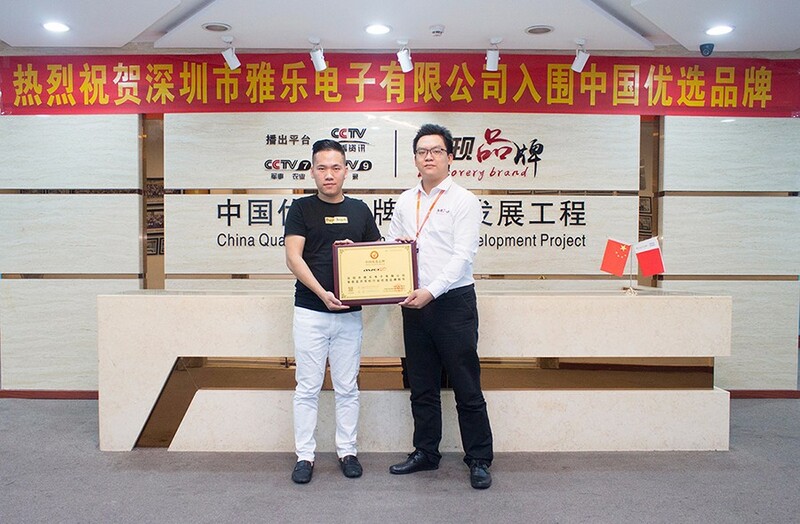 Successful been rated as China Quality Brand in Bluetooth Earphone Industry of CCTV Discovery Brand Column Group—Not only does it show the affirmation to AWEI from the authoritative media from all walks of life and CCTV, but also the embodiment of comprehensive strength and good reputation of AWEI. With the inherited and accumulated spirit of workmanship of AWEI, not only does AWEI created countless high-quality products, but also won deep trust and appreciation from consumers for near a decades since its establishment. 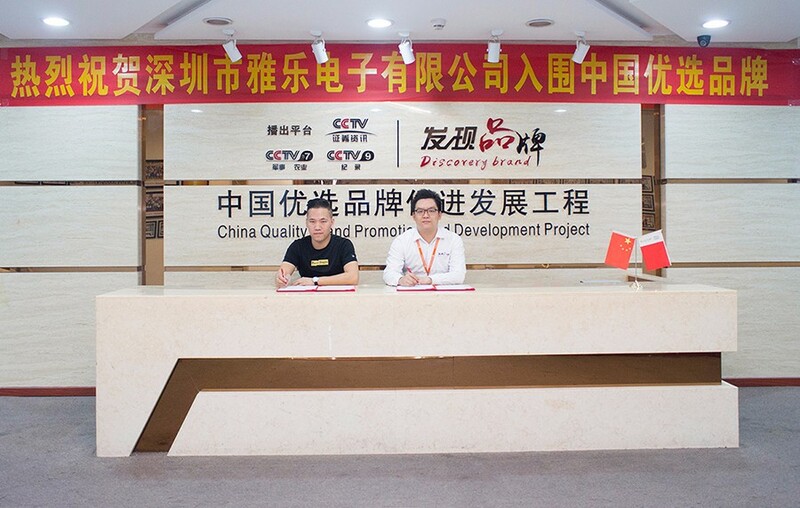 The China Quality Brand Promotion and Development Project was established in June 2016 and initiated by authoritative media and organizations at all levels of society. 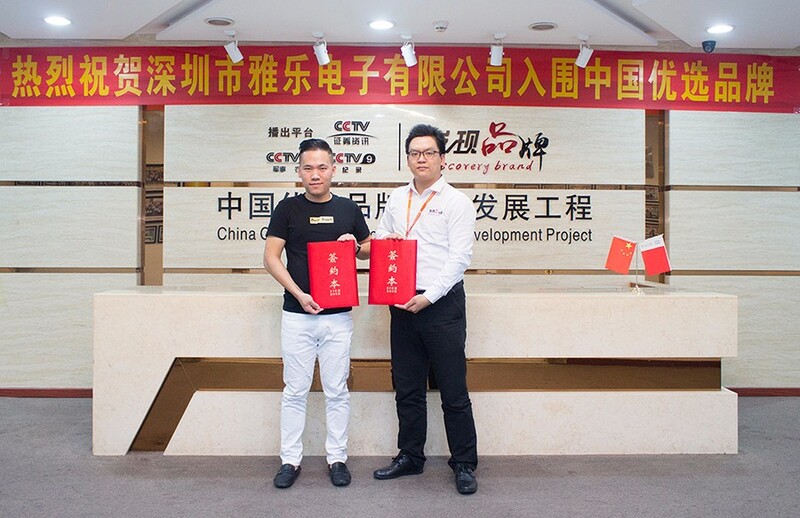 The China Quality Brand Promotion and Development Project and CCTV co-founded the “Discovery Brand Column”. China Quality Brand Promotion Development Project bases on the economy of China and faces the world. It is an important and main medium for promoting the brands of China, enhancing the image of China, promoting the economic integration of China and the world, and shaping the image of the enterprises of China. The Discovery Brand Column is a spectacular feature films of enterprises, launched by Securities Information Channel of CCTV. The column explores the folk quality brand with the unique perspective of media, bases on the securities information channel of CCTV, integrates all kinds of CCTV, major video media platforms, mobile clients and other channels. Thorough the form of enterprise card, reporting the brands that make outstanding contributions and influences in various industries. It will guide and promote more enterprises of China to the road of brand development, and boost the rapid development of enterprise brands of China.